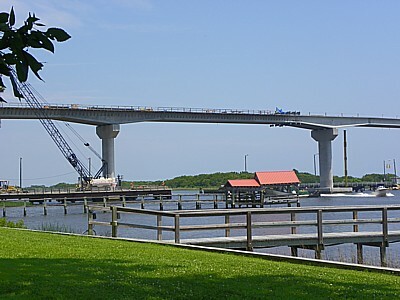 The new Sunset Beach Bridge will open completed before the full project is completed. 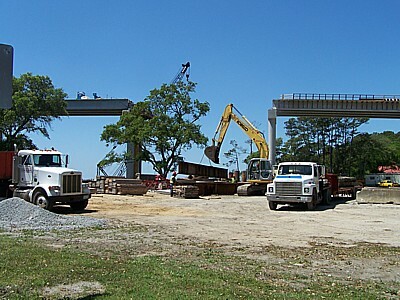 If there are no complications, the bridge should open to vehicular traffic in early October 2010. 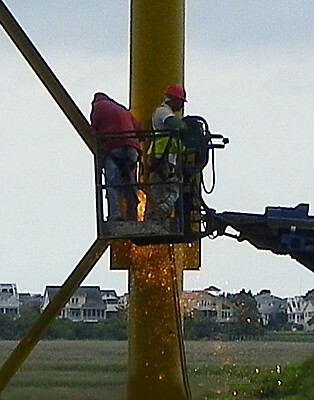 Dedication will be at 4 PM on October 1. 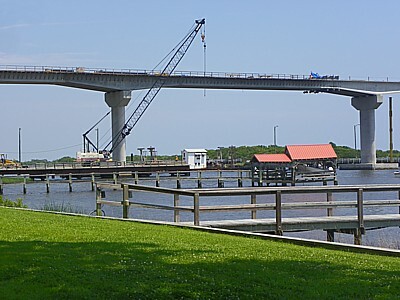 After the new bridge is open to traffic, the detour, the work bridge and the old bridge will be removed. 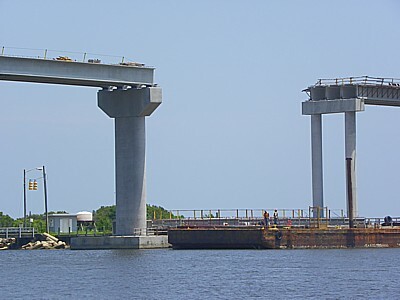 Causeway changes will be made. 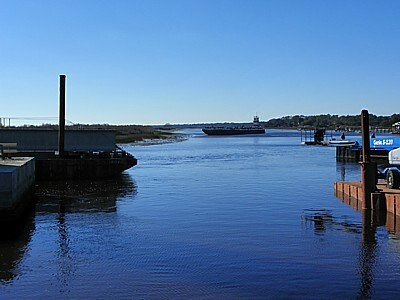 There already is more marsh than there was with the original causeway. 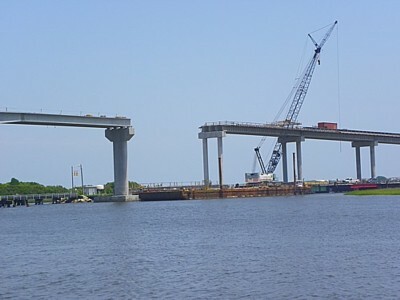 Still more will develop when an additional portion of the old causeway is removed. 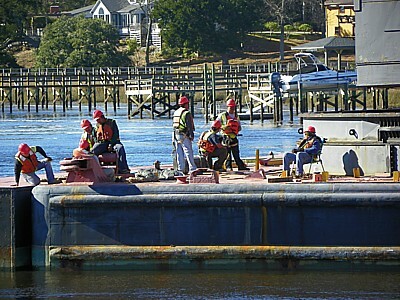 Catch basins on the island and mainland ends will capture run-off from the bridge to prevent chemicals in it from polluting the water. 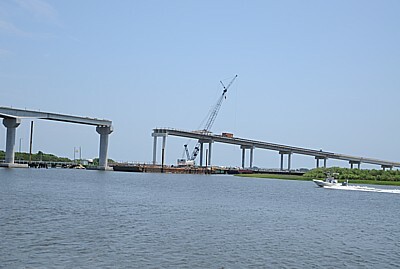 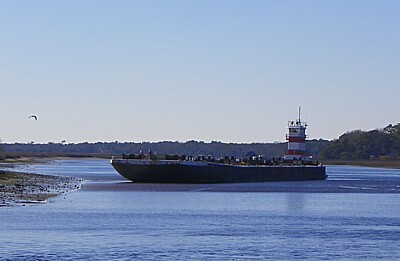 Despite the clutter of construction equipment, the Atlantic Intracoastal Waterway is brilliant. 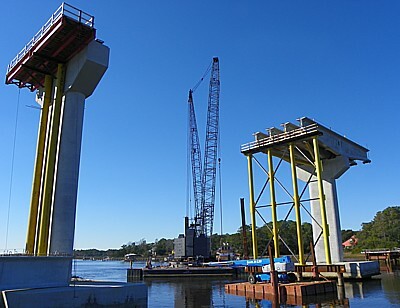 The extra, yellow, support columns were added when the center girders were being installed across the 230-foot opening for boat traffic at the center of the bridge. 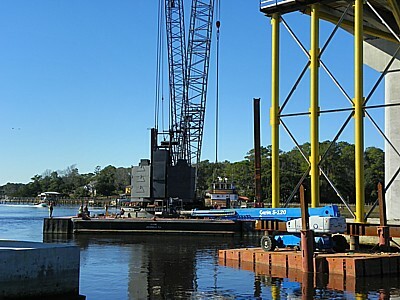 Bridge work simultaneously occurs at multiple places on the mainland and island side. 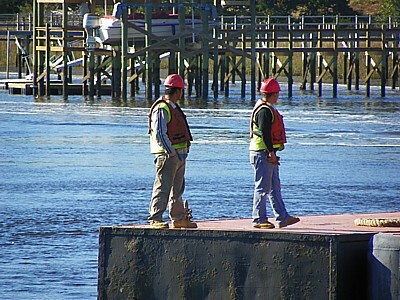 Men are always at alert, studying plans and watching equipment move into position. 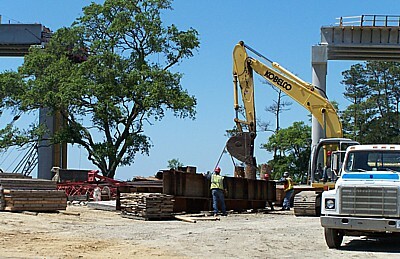 Workmen labor to center and attach a back-hoe to an I-beam or girder to lift it. 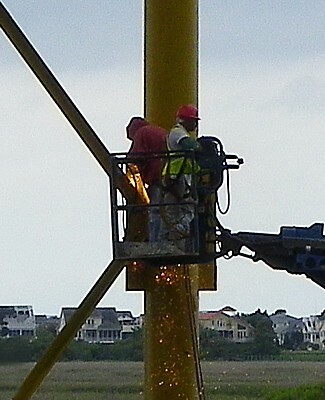 Welders at one of the thousands of places requiring welding on the bridge.